I hope you manage to sort everything out and it isn't too much hassle for you. Thanks for taking a look everyone. I wondered if that might be the issue after I asked what version they're on, which is version 10. I also haven't had this from anyone else that I've sent to do mixes so… that's unfortunate. I really really really appreciate the time. I won't use any other NLE and it's a bit frustrating when one part of the chain seems to be broken. Especially when you're the 'black sheep' of the post-production world with FCPX, like myself. I managed to open the files in FCP X and everything appeared fine there. 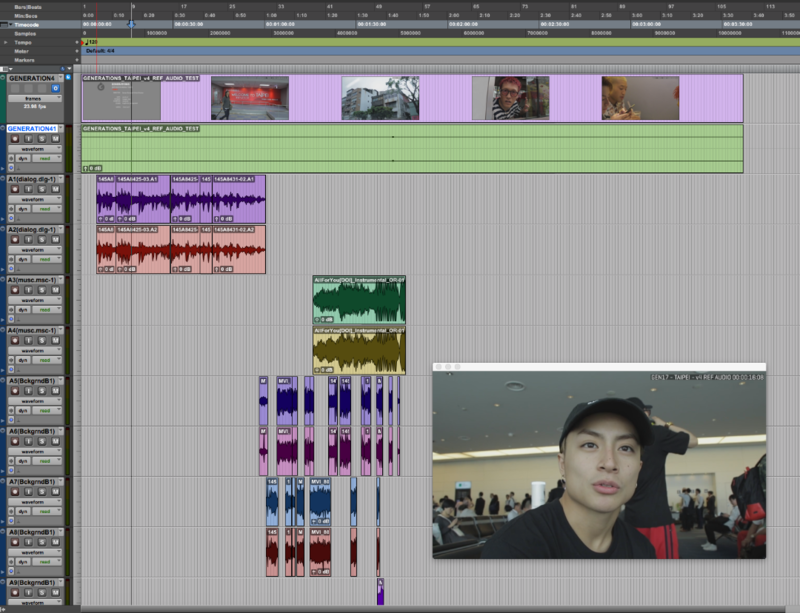 Exporting with X2Pro 4.0.32 worked completely fine with no errors or warnings and Pro Tools opened everything just fine. I then imported the .mp4 you used to compare it (see screenshot attached) and all the audio appears to be synced perfectly. The audio starts and stops at the same time as it does in FCP X. Like Angus suggested, it is likely to be the version of Pro Tools that you are using that is causing the issue as I could not see your issue with Pro Tools 12.8.1. Is it possible for you to to update or use PT 12 and see if you still see the issue? We have also been sending AAF's to post houses for years and in quite a few cases it has been the version on PT that has had a bug. I would suggest that they try the AAF in PT 12 this is especially the case with mixed sample rates. Did you receive the file? Have a chance to check anything out? I uploaded a ZIP file that includes all the footage, the FCPX library, XMLs (I usually create an XML that has no video in it for audio, in this case I included one WITH video and one WITHOUT) and the AAFs created by X2Pro. It was 21GB so it took a while but I think it went up? Sending the FCPX library should work fine. Although, I think you might need to set a couple options such as making sure the media storage location is set to In Library. Last Edit: 1 year 5 months ago by Daniel Beasley. Could I just send you the FCPX Library of that project timeline? I can manually select the files if necessary, but it should contain all the media when I export it as its own Library. Will send you an email with details! I'll organize it together now. I imagine it'll be a lot of data. Please send your FTP info so I have that as an option. All of the clips used in FCP X to make the result yes, providing that the total file size isn't too large to send. I can email you the details of our FTP server to upload onto there if you require it. You want all the files including the video? Another test sounds good to me. Would it be possible for you to send all of the media for us to look at as a whole? I can email you the details of our FTP server to upload onto there, unless you would prefer to use your own way (like previous).